Moving nutrition and lifestyle science forward. Mailing LJ, Allen JM, Woods JA. Exercise and the gut microbiome. Exercise & Sport Sciences Reviews (accepted manuscript). Mailing LJ. The gut-skin axis: scientific evidence and an integrative approach to testing and treatment. Oral presentation, Ancestral Health Symposium (July 2018). Mailing LJ. Training the gut: how exercise impacts the gut microbiome and gut barrier function. Poster presentation, Ancestral Health Symposium (July 2018). Mailing, LJ, Allen JM, Niemiro G, Cohrs J, Holscher H, De Lisio M, Woods JA. Six weeks of aerobic exercise improves markers of insulin sensitivity and metabolic endotoxemia: correlations with the gut microbiota. Poster presentation, American College of Sports Medicine Conference (June 2018). Mailing, LJ, Allen JM, Niemiro G, Cohrs J, Holscher H, De Lisio M, Woods JA. Effects of a six week aerobic exercise intervention on the composition of oral and skin microbiota: a pilot study. Poster presentation, Experimental Biology (April 2018). Mailing LJ. 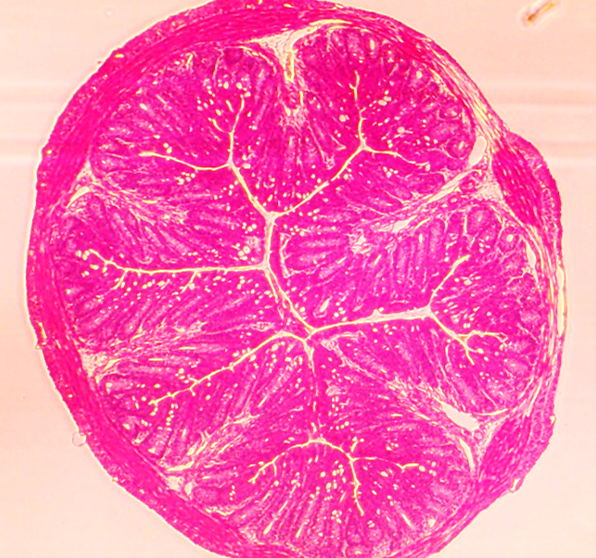 The gut-skin axis. Nourishing Ways of West Michigan (March 2018). Mailing, LJ, Allen JM, Niemiro G, Cohrs J, Holscher H, De Lisio M, Woods JA. Effects of a 6 week aerobic exercise intervention on gut bacterial metabolites in lean and obese adults. Oral presentation, American College of Sports Medicine Conference (2017). Mailing, LJ, Allen JM, Niemiro G, Cohrs J, Holscher H, De Lisio M, Woods JA. Effects of a 6 week aerobic exercise intervention on gut bacterial metabolites in lean and obese adults. Poster presentation, Experimental Biology (2017). Mailing, LJ, Allen JM, Nehra V, Holscher H, VanDyke C, Eden K, Swanson K, Boardman L, Murray J, Jensen M, Woods JA. Utilizing the gut microbiota to predict weight loss from a volumetric diet and exercise program in obese adults. Poster presentation, Conference for Individualizing Medicine (2016). Mailing, LJ, Allen JM, Liu TW, Bhattacharya TK, Park P, Pence BD, Johnson RW, Fahey GC, Swanson K, Rhodes JS, and Woods JA. Pectin feeding for 16 Weeks improves learning and memory in young C57Bl/6J Mice: a relationship to the gut microbiota? Poster presentation, Experimental Biology (2016). Mailing LJ, Feehley T, Nagler C. Effects of bacterial metabolite butyrate and fiber-free diet on allergic phenotype in a murine model of peanut allergy. Senior thesis & poster presentation, Kalamazoo College Diebold Symposium (2015). Mailing, LJ, Henry FE, Sutton MA. 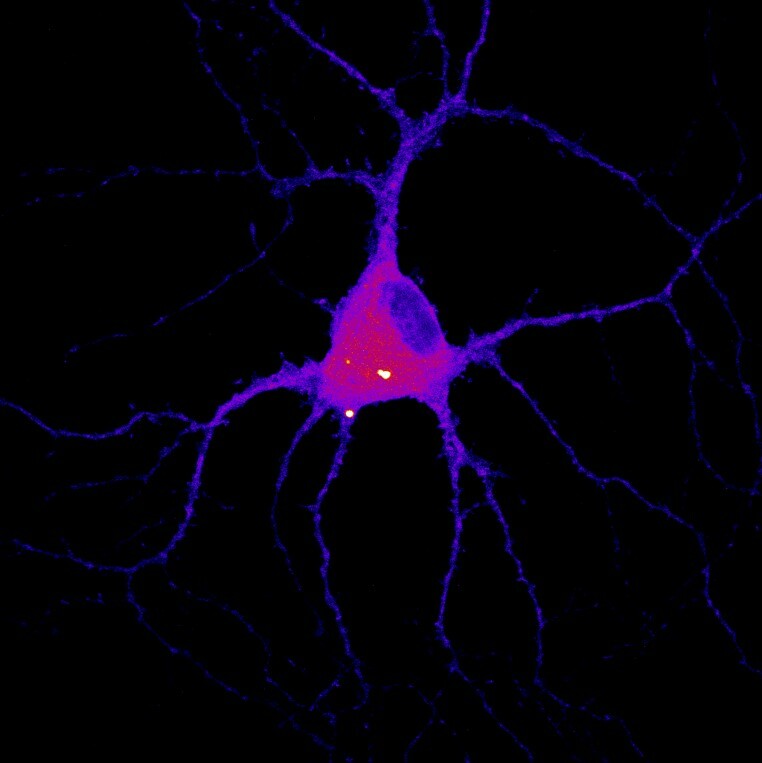 Homeostatic changes in synaptic plasticity driven by phosphatidic acid-mediated mTORC1 signaling. Oral presentation, University of Michigan Summer Undergraduate Research Symposium (2013). 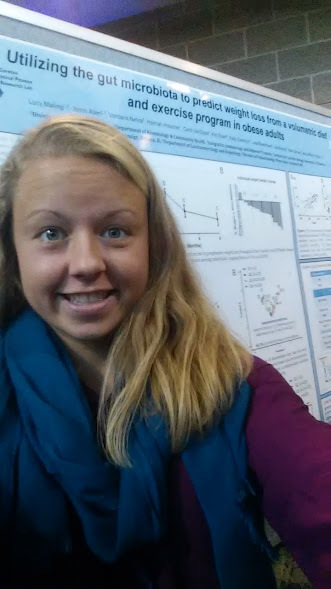 Lucy Mailing is a fourth-year MD-PhD student in the Division of Nutritional Sciences at the University of Illinois. She was recently named an Emerging Leader in Nutrition Science by the American Society for Nutrition and has co-authored several seminal papers in exercise science that were featured in the New York Times. Lucy is also a staff research associate for the Kresser Institute for Functional and Evolutionary Medicine and ChrisKresser.com. 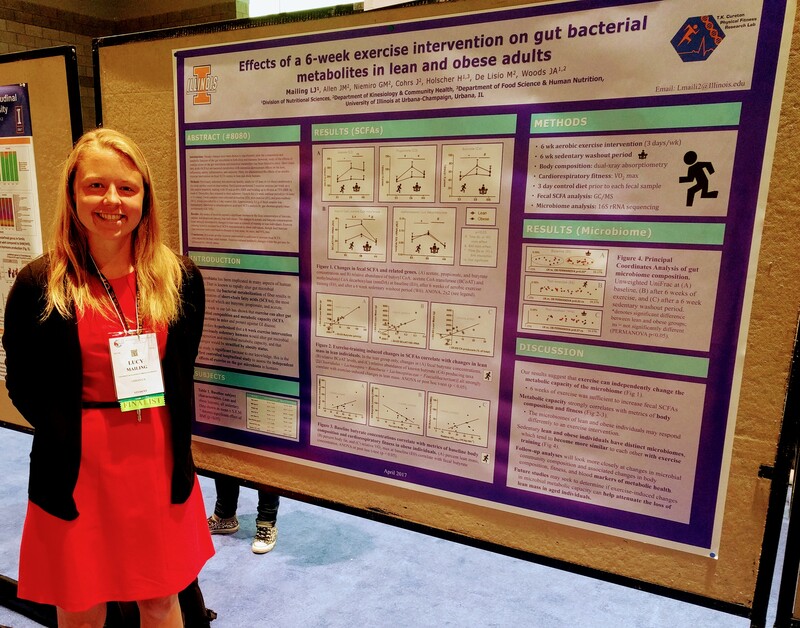 Her laboratory research focuses on understanding how lifestyle factors like diet and exercise can beneficially modulate the gut microbiome and gut barrier function in states of health and disease. She hopes to make a significant impact on the greater scientific and medical community through both outstanding clinical practice and novel academic research. Mailing LJ, Allen JM, Woods JA. Exercise and the gut microbiome: techniques, evidence, and implications for human health. Exercise & Sport Sciences Reviews (in preparation). Lucy Mailing graduated from Kalamazoo College with a B.A. in Biology and is now a fourth-year MD-PhD candidate in the Division of Nutritional Sciences at the University of Illinois. Lucy is also a senior research associate for the Kresser Institute for Functional and Evolutionary Medicine and was named an Emerging Leader in Nutrition Science by the American Society for Nutrition in 2017. Her laboratory research focuses on how diet and exercise can beneficially modulate the gut microbiome and gut barrier function in states of health and disease. Lucy is the founder and sole author of NextGen Medicine, writing evidence-based articles about gut and skin health, nutrition, the microbiome, and exercise science. She takes an individualized, integrative approach and helps clients with gut and skin conditions heal from the inside out. Lucy currently resides in Champaign, Illinois with her husband Steven and enjoys traveling and playing soccer in her free time.